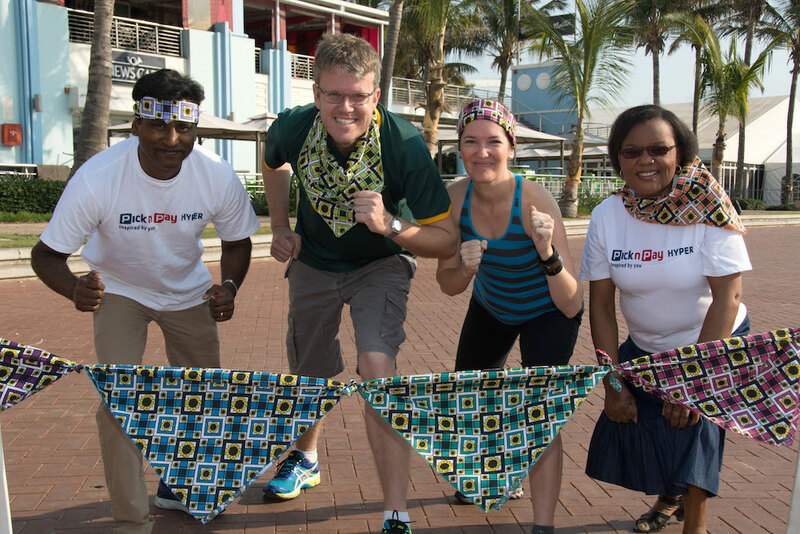 Ravi Naidoo from Pick n Pay Hyper, Graham Carruthers from Round Table Southern Africa, The Sunflower Fund’s Stephanie Berry and Princess Lekaje from Pick n Pay Hyper are getting ready for the Hyper 5km Fun Run/ Walk for Charity on Sunday, 13th September starting at 9.30am. The entry fee is R50 and includes a Sunflower Bandana. The run/walk starts at the Amphitheatre in front of SUNCOAST and goes along the boardwalk to the Durban Spa Vacation Resort and back. Pre-registration is recommended. Registration takes place at Pick n Pay Hyper in Durban North on Saturday, 5th and 12th September between 10am to 5pm and at Suncoast Casino, Hotels and Entertainment, outside Mugg & Bean on the Boardwalk on Saturday, 12th September from 1pm to 3pm and at the SUNCOAST SunZone on the morning of the race, Sunday, 13th September, from 7.30am to 9.00am. Prize-giving will take place directly after the race and five substantial lucky draw prizes will be awarded. People of all ages and fitness levels are encouraged to participate as all money raised will be used to help patients diagnosed with leukaemia. Come join in the fun and help The Sunflower Fund reach their target of 3000 participants. The Sunflower Fund would like to thank Pick n Pay Hyper, SUNCOAST and Round Table Southern Africa for making the event possible and for their ongoing support.